Melbourne is the second most populous city in Australia, it is a major centre of commerce, industry and cultural activity. The city is referred to as Australia's 'sporting and cultural capital' and it is home to many of the nation's most significant cultural and sporting events and institutions. The city celebrates a wide variety of annual cultural events, performing arts and architecture. Melbourne is also considered to be Australia's live music capital with a large proportion of successful Australian artists emerging from the Melbourne live music scene. Melbourne has become popular for its street art with the Lonely Planet guides listing it as a major attraction. 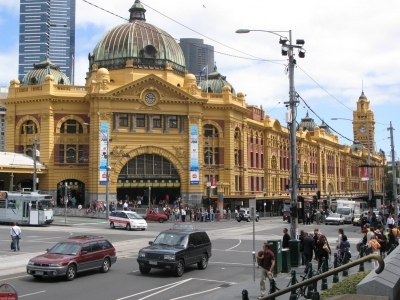 The city is also admired as one of the great cities of the Victorian Age (1837-1901) and a vigorous city life intersects with an impressive range of nineteenth and early twentieth-century buildings. Melbourne's restaurants are numerous and major restaurant strips can be found throughout the city and its surrounding areas. The restaurant strips, particularly Brunswick Street have their own bars, some of which are the best rock venues in Melbourne. King Street, on the southern side of the CBD, was traditionally a nightclub strip and still hosts several, but many are now exotic dancing venues. Chapel Street, Prahran, is perhaps the trendiest, most upmarket nightlife strip. Bayside St Kilda is the home of several huge music venues including the famous Esplanade Hotel, the Prince of Wales, and The Palace.